Meet the Experts: Our research experts have in-depth knowledge in numerous sectors, including utilities, financial services, health care, transportation, insurance, retail, restaurants and food service, non-profit organizations, education, and home building. This combination of industry experience and research expertise enables us to provide the insights you need to guide decision-making and solve your business challenges. Mrs. Apostol served as CFO and Treasurer of WestGroup Research for more than 25 years prior to becoming CEO in 2015. During that time, Cari was actively involved in the daily business of WestGroup through her roles as the company accountant and bookkeeper with the responsibilities of payroll, AR/AP, and all financial reporting. Cari was named CEO after the death of her husband Ted Apostol, the founder of WestGroup Research. Together Ted and Cari grew the company to over 12 times the size it was when they acquired the firm in 1989 (previously M.R. West Marketing Research). Cari considers it a privilege to serve as CEO of the incredible team of leaders Ted trained and mentored for many years in anticipation of his expected retirement. Cari is quick to give credit for the company’s continuing and outstanding success to its exceptional long-term research and business staff. Cari serves on two non-profit foundations: LIFT: Leaders In Fellowship Together, as treasurer; and TAF: Ted Apostol Foundation, as Chair. Mrs. Apostol is the author of the book: What Has God Already Provided? She has also served as a women’s ministry leader, teacher, curriculum writer and speaker for various women’s events for the last 35 years. Cari and Ted were married 47 years, have 3 children and 8 grandchildren. Respected for over 30 years of practice and innovation in the areas of “Customer Experience” and service quality research, Glenn specializes in consumer and business research for the public utility, health care and insurance industries. Glenn spent 10 years with Arizona Public Service Company and was managing their Market Research department before joining WestGroup in 1989. 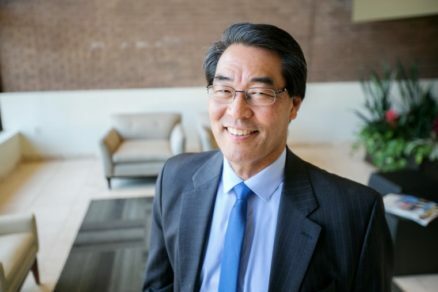 In addition to consulting and managing his own projects, Glenn serves as President and Chief Research Officer at WestGroup and has been leading the company since 2014. Glenn invests time mentoring and training WestGroup’s analysts and managers on research and leadership. 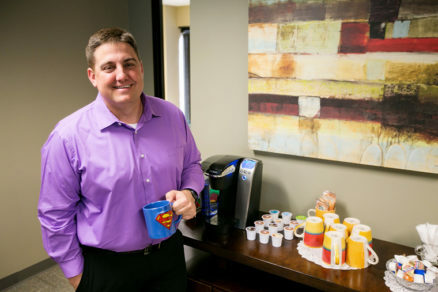 His door is always open and Glenn prioritizes making time to talk with employees about life inside and outside of WestGroup. Glenn’s clients value him as a consultant and thus his research relationships seldom end when the final presentation is made. He is often invited to be a part of special internal client teams to translate research findings into actions and to assist with implementation strategies. Volunteers teaching music and playing piano/arranging music for various church and non-profit organizations. Glenn and his wife Sue are adjusting to an empty nest now that all three of their girls have moved out and settled throughout the Southwest. When he’s not working, you can find Glenn running mountain trails near his home in preparation for the next marathon. Mr. Apostol is trusted to manage complex national and international brand and product tracking studies and NPS-focused customer experience surveys on behalf of some of the world’s most recognizable brands – Samsung, Spotify, Federal Express, Atlas Copco, PNC Bank, Bank of America, and NPR. 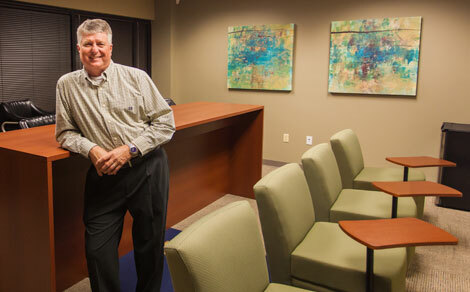 Peter also enjoys working with local organizations, such as Blue Cross Blue Shield of Arizona. Industry experts and consultants choose to work with Peter because of his classic, academic research background, “ground up” career, ability to aptly leverage technology, personable and effective communication style, and above all his commitment to deliver “the truth” despite how challenging it can be to uncover in this survey saturated world. Mr. Apostol has held key roles at WestGroup Research since 1997 and is essential to the firm’s continued growth and ongoing success. While buzz words like “big data”, “data science” and “data visualization” are relatively new to the scene, Peter Apostol has been steeped in the discipline of market research for more than 25 years – long before the Harvard Business Review named Data Scientist “the sexiest job of the 21st century. Peter is uniquely qualified to evaluate, recommend and manage the best solution for your data collection and reporting needs – from custom to “off the shelf”, online panel to phone surveys, and deliverables as simple as raw data to an automated enterprise survey system with dynamic dashboard reporting. Peter began combining his passion for technology with market research to create solutions before tech companies flooded the industry with “turn-key” products but little practical market research knowledge. He can guide you to the best tools – both inside and outside of the tool box. With more than 30 years of experience in Marketing Research, Kathy is trusted to design rigorous, professional market research initiatives that employ innovative methods to engage the target audience. Ms. DeBoer presents findings in a compelling, and often interactive and automated, manner. Kathy’s clients appreciate her uncompromising commitment to quality, responsiveness and ability to partner with them to successfully complete projects on-time and on-budget. Kathy DeBoer is well known for her expertise in public-sector research. She has provided direction and resources to many government entities in Arizona and throughout the United States. Ms. DeBoer has a long history of conveying the opinions of residents, parents, students, employees, voters, and riders to the Schools/Districts, Towns and Cities, and other government agencies that serve these constituencies. Kathy is highly respected for expertise in transportation-related research and recently presented at the Travel Research Board Conference (TRB 2018) in Washington DC. Kathy works with many clients on customer experience, branding efforts, and marketing communications. Ms. DeBoer serves clients in health care, advertising, media, manufacturing, and consulting. Clients appreciate that Kathy draws on decades of qualitative and quantitative research practice to creatively craft the best solution for their research needs. Ms. DeBoer is relied upon to help clients determine and define research goals, which often includes an audit of existing data sources. Integrity, responsiveness, flexibility and innovation are the reason’s Kathy has so many long term clients that view her as a partner in solving their business challenges. Arizona Forward: Chair Central Regional Council 2018-2020. Also currently serves on the Transportation Committee and Communications Committee. About Care: Board Member of this non-profit organization that provides support services to homebound residents in the cities of Chandler, Gilbert, and Queen Creek. Previously served as Board Chair. American Marketing Association, Past President, Phoenix Chapter. Wendy Godfrey is an accomplished researcher with more than 30 years of experience. Ms. Godfrey has a wealth of experience in consumer and business issues for the financial industry amassed over a career working in banks, consulting with banks, and providing research solutions to banks and other financial institutions for the past two decades at WestGroup. Wendy’s personal interests translate into a passion for also working with clients in the non-profit, education, and health and nutrition sectors. Wendy specializes in brand research, concept and message testing, customer experience tracking, and strategic plan development. Wendy is highly valued for her expertise in designing and moderating focus groups and executive interviews. Co-workers affectionately refer to her as our “Qualitative Queen” and include her as a consultant on their qualitative projects. 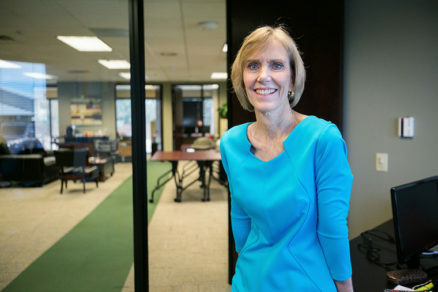 Ms. Godfrey was attracted to WestGroup because of our unique philosophy of “one contact from proposal to presentation.” She knows the success of research is in the details and enjoys working directly with her clients throughout the entire process. Always available and generous with her time, each of Wendy’s clients enjoys the illusion that they are her only client. If you ask someone to describe Wendy, you are guaranteed to hear the words: professional, responsive, trustworthy, wise and gracious. Prior to joining WestGroup in 2000, Wendy was an independent research consultant engaged by Bank One, First National Bank & Trust, First Hawaiian Bank and Salt River Project. Her foundation in the financial industry was built by spending 17 years in banking, 13 of those with Bank One/Valley National Bank, where she held management positions in Marketing Research and Sales & Service Management. Wendy holds a BS in Marketing from the University of Arizona. She is a member of the American Advertising Federation (AAF), the Center for Marketing and Opinion Research (CMOR), the Qualitative Research Consultants Association (QRCA), the American Bankers Association, and is an occasional contributor to Bank Marketing Magazine, as well as a frequent lecturer at the Thunderbird School of Global Management. 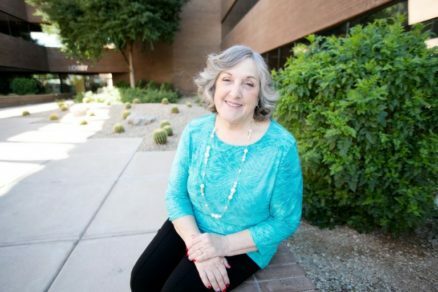 Wendy also has a long history of community involvement, serving on the boards of the Rosson House, University of Arizona Phoenix Alumni group, and Touchstone Behavioral Health. Currently, she is involved with The Board of Visitors and Valley Leadership. 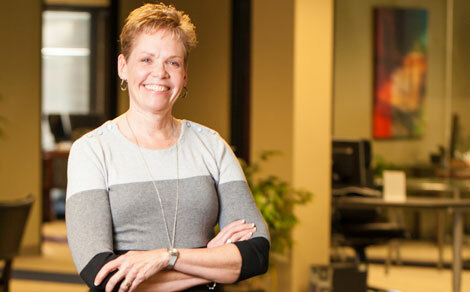 Wendy is a part owner of WestGroup and serves on the company’s Board of Directors. Wendy and her husband Bill are avid travelers and adventurers and, in recent years, have made trips to the Galapagos Islands, Costa Rica, London, Africa and Italy. Both at airports and on planes she enjoys reading the latest business books. What do you get when you cross a marketing director, advertising executive and seasoned market researcher? Dave Maddox, a talented and creative project director and senior analyst with 25 years of experience. Clients find his common sense approach and to-the-point reporting refreshing and useful. 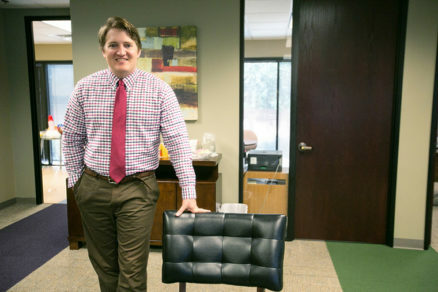 Before joining WestGroup Research in 2002, Dave had held positions with home builder T.W. Lewis, advertising agency E.B. Lane, and Circle K Corporation. In addition to his work with clients, Dave also serves on WestGroup’s Board, and as in-house marketing director. Dave holds a BA in Communication from Arizona State University and has also taught classes at ASU West. Dave has also presented at local and national research conferences, and you may have seen him on local news, dissecting each year’s crop of Super Bowl commercials. Prior to entering the marketing field, Dave worked as an air traffic controller and as a PGA Golf Professional. His closest brush with fame came in 1993 when he played 18 holes of golf with Michael Jordan. Wholeheartedly curious, naturally analytical, and wired for creative and collaborative problem solving, Stephanie Apostol is dedicated to the art and science of market research. Since 1996, Stephanie has guided and supported local, national and international clients through the process of engaging their market with quantitative and qualitative methods. Her favorite aspect of research is getting answers to the questions that keep you up at night. Ms. Apostol enjoys the challenge of designing innovative yet practical approaches to data collection and reporting. Sometimes this means executing a simple web survey but other times it means implementing a complicated multi-modal data collection approach, creating custom project management software, or integrating data from several sources into a dynamic dashboard reporting tool. Stephanie is thankful to be a part of a company where going the extra mile is business as usual because going above and beyond is a part of her DNA. Ms. Apostol is a part owner of WestGroup and serves on the company’s Board of Directors. She is a RIVA trained moderator and a past president of the Arizona Chapter of the American Marketing Association. Stephanie earned a BS in Psychology from Penn State University and an MBA from the University of Phoenix. Mark Gauzens is a self-proclaimed “data enthusiast” with a gift for using data visualizations to present research findings in a custom, friendly and meaningful way. Fearless in the face of complex work flows and mountains of raw data, Mark invests his time and talents to set up systems to automate and eliminate any possibility of human error. Mark’s clients appreciate his skillful execution of both traditional and innovative research methods and the benefits gained by leveraging technology to put them in the driver’s seat of their data. With the ability to easily review results in a variety of ways, Mark engages client’s natural curiosity which leads to greater insights and a deeper understanding of the story the data reveals. As our Director of Research Innovation, Mark consults on many WestGroup projects to ensure the design and execution appropriately leverage technology to maximize efficiency and effectiveness from data collection through reporting. Mark is also a primary programmer of “CLASS”, WestGroup’s turn-key yet custom Dashboard reporting system. By being willing and stubborn enough to wrangle old processes into newer and better formats, Mark helps to bolster not only the amount and speed of work that can be done for a client, but the quality as well. Mark revels in ridding the research world of “it can’t be done” and “we’ve always done it this way” thinking. Prior to joining WestGroup in 2011, Mark worked at a branding agency where he supported research initiatives for pharmaceutical and consumer packaged goods clients. In this role, Mark managed projects ranging in scope, from quantitative international logo testing with ophthalmologists, to qualitative educational brochure testing with cancer patients and caregivers. Mark graduated from the W.P. Carey School of Business at Arizona State University with a BS in Marketing. He is an avid obstacle course racer and, when not working, can most likely be found hanging out with his wife and children. Analytical and creative with the desire to delve deep for “answers behind the answers”, Katy Gallert has a talent for finding purposeful information and presenting it in an impactful way. Katy is one of those rare individuals who knew exactly what she wanted to do professionally while still in college. WestGroup is thankful to have scooped her up for an internship in 2002 and leveraged her passion for market research ever since. 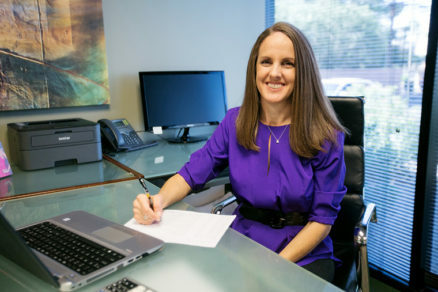 With more than 15 years of experience in Marketing Research, Ms. Gallert has been involved in hundreds of research projects conducted on behalf of government entities and companies in the public and private sectors, including utilities, transportation, insurance, construction, manufacturing, healthcare and education. 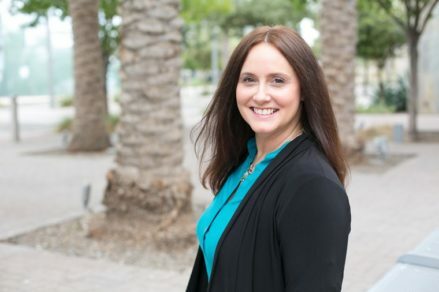 Katy is best known at WestGroup for expertise in managing a multi-modal, complex, dynamic tracking study for the one of Arizona’s largest providers of electricity and water. While Katy is experienced in SPSS statistical analysis and helps clients dig deeper by using techniques like key driver analysis and segmentation, some of her favorite projects are qualitative and allow her to engage with people personally through one-on-one interviews or focus groups. Over the years she has conducted numerous in-depth interviews with business owners and had the privilege of sharing their stories both in writing and through live panel presentations. Ms. Gallert is a RIVA trained moderator and served on the Arizona Chapter of the American Marketing Association as VP of Finance. Katy holds a BS in Marketing from the University of Arizona.